Posted by Dave Emory ⋅ September 20, 2017Post a comment Email This Post Print This Post Tweet This! Dave Emory’s entire life­time of work is avail­able on a flash drive that can be obtained here. The new drive is a 32-gigabyte drive that is current as of the programs and articles posted by late summer of 2018. COMMENT: In FTR #953, we looked at some of Bernie Sanders’ “interesting” relationships and policy positions, this against the background of the decades-long GOP strategy marrying electoral politics and covert operations. The latest political outcropping of Sanders’ political manifestation is The Sanders Institute. 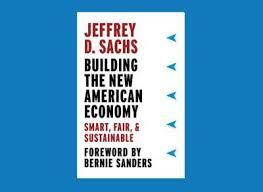 In addition to Tulsi Gabbard, whom we discussed in FTR #’s 941, 942 and 945, Team Sanders features Jeffrey Sacks, a key financial adviser to Boris Yeltsin and among the architects of the economic debacle that followed the implementation of policies favored by Sachs and Company. He was promoting open primaries for the Democratic Party, which would enable Karl Rove and the Republicans to choose the Democratic nominee. The SWP was a vehicle for infiltration and the acquisition of a “left cover” by Nazis and spooks, including Lee Harvey Oswald. To what extent have the GOP and the overlapping Underground Reich focused on Sanders (without his knowledge) as a vehicle for infiltrating the Democratic Party? In FTR #’s 941, 942 and 945, we noted the numerous fascist connections of Tulsi Gabbard, one of the driving forces behind Sanders’ ascent. To what extent has the Trotskyite template served as a vehicle for Gabbard, and, perhaps, Ellison to infiltrate the Democratic Party? It is important to note that, in effect serving as an advance element or Fifth Column for the neo-Liberal policies presided over by Yeltsin and crafed by Sachs & Company, the Free Congress Foundation served as an extension of The Crusade For Freedom and the projection of the ABN milieu into the GOP. This was the political predecessor to the Yeltsin policies. Dominating the Reagan administration, the ABN milieu was projected back into Eastern Europe and the former Soviet Union by the Free Congress Foundation, heavily overlapped with Laszlo Pasztor and the GOP Nazis dating from the Crusade For Freedom. Heavily overlapping the Free Congress Foundation of Paul Weyrich, the GOP “ethnics” and the OUN/B, in particular, played a leading role in the political tutoring of Boris Yeltsin’s IRG organization. Ultimately, Yeltsin’s forces were instrumental in breaking up the U.S.S.R.
We note that the head of the liberation sub-group of the Free Congress Foundation was Hungarian Arrow Cross veteran Laszlo Pasztor, the head of the GOP “ethnics.” (This audio excerpt is from AFA #36. The text is from “The Free Congress Foundation Goes East” by Russ Bellant and Louis Wolf, from Covert Action Information Bulletin Issue #35. “The Long, Strange Career of Jeffrey Sachs” by Doug Henwood; Left Business Observer; August of 2005.
. . . . Sachs was an advisor to the Yeltsin government in Russia from 1991 to 1994, and also advised Poland, Slovenia, and Estonia as they were beginning their transitions to capitalism. The last three are mixed successes – on the surface, Poland looks like a success to some, but with the transition came higher unemployment, falling real wages, and aimless cycles of political discontent. Russia, though, was a thorough disaster, one of the worst collapses in human history. Living standards fell and the population shrank, an almost unprecedented event in a country not at war. But the outcome illustrates precisely the danger of having the likes of Sachs parachute in bearing the timeless truths of neoclassical economics. Anyone who knew Russia knew that any rapid privatization would immediately lead to the creation of a new corrupt elite through massive theft of state property. Anyone who knew Washington knew that no big aid package was ever going to come through; adding to usual U.S. cheapness, a lot of hardliners wanted to see Russia ground into the dirt. In the words of former World Bank economist David Ellerman, who frequently collided with Sachs’s work in Slovenia and has followed him intently ever since, “Only the mixture of American triumphalism and the academic arrogance of neoclassical economics could produce such a lethal dose of gall.” . . . .
During what officialdom called the transition, there were divisions between those who wanted to reform the existing socialist system and experiment with hybrid forms of ownership, and what Ellerman calls the “clean postsocialist revolutionaries,” many of them with American economics PhDs, who dismissed the reformers as tainted nomenklatura and wanted immediate privatization. Adding to the prestige of the revolutionaries were their trusted foreign advisors, like those from the Harvard Institute for International Development (HIID), led by Jeffrey Sachs and partly funded by the U.S. government. . . .
. . . . HIID eventually collapsed in scandal, when it was revealed that the principals of its Russian project, Andrei Shleifer and Jonathan Hay, along with their wives (who happened to be mutual fund managers), had been buying Russian stocks and dickering for the privilege of getting the country’s first mutual fund license, while dispensing advice to the Russian government. (Shleifer was one of the trinity of so-called Harvard Wunderkinder who were to Russia what the Chicago Boys were to Pinochet’s Chile; the other two were Lawrence Summers – and Sachs.) The U.S. government sued, and Harvard shuttered the institute. Sachs, who was not involved in the scandal, decamped to Columbia (it’s said there was no going-away party from his Harvard colleagues). At Columbia, he was appointed to head its new Earth Institute, an interdisciplinary enterprise that would bring together physical, health, and social scientists to promote sustainable economic development. . . .